The beloved Sherlock Holmes novel published as an Essential for the first time. The death, quite suddenly, of Sir Charles Baskerville in mysterious circumstances is the trigger for one of the most extraordinary cases ever to challenge the brilliant analytical mind of Sherlock Holmes. As rumours of a legendary hound said to haunt the Baskerville family circulate, Holmes and Watson are asked to ensure the protection of Sir Charles' only heir, Sir Henry - who has travelled all the way from America to reside at Baskerville Hall in Devon. And it is there, in an isolated mansion surrounded by mile after mile of wild moor, that Holmes and Watson come face to face with a terrifying evil that reaches out from centuries past . . .
Sir Arthur Conan Doyle was born on 22 May 1859 in Edinburgh. He studied medicine at the University of Edinburgh and began to write stories while he was a student.Over his life he produced more than thirty books, 150 short stories, poems, plays and essays across a wide range of genres. His most famous creation is the detective Sherlock Holmes, who he introduced in his first novel A Study in Scarlet (1887). This was followed in 1889 by an historical novel, Micah Clarke. In 1893 Conan Doyle published 'The Final Problem' in which he killed off his famous detective so that he could turn his attention more towards historical fiction. 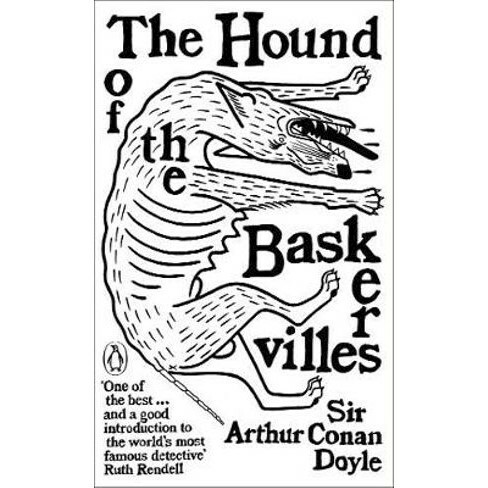 However Holmes was so popular that Conan Doyle eventually relented and published The Hound of the Baskervilles in 1901. The events of the The Hound of the Baskervilles are set before those of 'The Final Problem' but in 1903 new Sherlock Holmes stories began to appear that revealed that the detective had not died after all. He was finally retired in 1927. Sir Arthur Conan Doyle died on 7 July 1930.